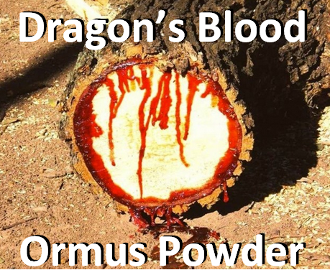 Dragon's blood is a bright red resin that is obtained from different species of a number of distinct plant genera: Croton, Dracaena, Daemonorops, Calamus rotang and Pterocarpus. The red resin has been in continuous use since ancient times as varnish, medicine, incense, and dye. A great degree of confusion existed for the ancients in regard to the source and identity of dragon's blood. Some medieval encyclopedias claimed its source as the literal blood of elephants and dragons who had perished in mortal combat. The resin of Dracaena species, "true" dragon's blood, and the very poisonous mineral cinnabar (mercury sulfide) were often confused by the ancient Romans. In ancient China, little or no distinction was made among the types of dragon's blood from the different species. Both Dracaena and Daemonorops resins are still often marketed today as dragon's blood, with little or no distinction being made between the plant sources; however, the resin obtained from Daemonorops has become the most commonly sold type in modern times, often in the form of large balls of resin. Voyagers to the Canary Islands in the 15th century obtained dragon's blood as dried garnet-red drops from Dracaena draco, a tree native to the Canary Islands and Morocco. The resin is exuded from its wounded trunk or branches. Dragon's blood is also obtained by the same method from Dracaena cinnabari, which is endemic to the island of Socotra. This resin was traded to ancient Europe via the Incense Road. The red latex of the Sangre de Grado tree (Croton lechleri), native to north-western South America, has wound-healing and antioxidant properties, and has been used for centuries by native people. The dragon's blood known to the ancient Romans was mostly collected from D. cinnabari, and is mentioned in the 1st century Periplus (30: 10. 17) as one of the products of Socotra. Socotra had been an important trading centre since at least the time of the Ptolemies. Dragon's blood was used as a dye, painting pigment, and medicine (respiratory and gastrointestinal problems) in the Mediterranean basin, and was held by early Greeks, Romans, and Arabs to have medicinal properties. Dioscorides and other early Greek writers described its medicinal uses. Locals of Moomy city on Socotra island use the Dracaena resin as a sort of cure-all, using it for such things as general wound healing, a coagulant (though this is ill-advised with commercial products, as the Daemonorops species acts as an anti-coagulate and it is usually unknown what species the dragon's blood came from), curing diarrhea, lowering fevers, dysentery diseases, taken internally for ulcers in the mouth, throat, intestines and stomach, as well as an antiviral for respiratory viruses, stomach viruses and for skin disorders such as eczema. It was also used in medieval ritual magic and alchemy. Dragon's blood of both Dracaena draco (commonly referred to as the Draconis Palm) and Dracaena cinnabari were used as a source of varnish for 18th century Italian violinmakers. There was also an 18th-century recipe for toothpaste that contained dragon's blood. In modern times it is still used as a varnish for violins, in photoengraving, as an incense resin, and as a body oil. 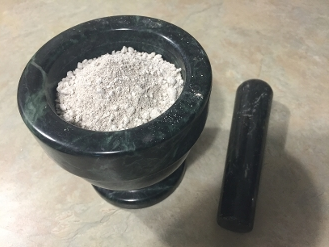 Dragon's blood from both Daemonorops were used for ceremonies in India. Sometimes Dracaena resin, but more often Daemonorops resin, was used in China as red varnish for wooden furniture. It was also used to colour the surface of writing paper for banners and posters, used especially for weddings and for Chinese New Year. In American Hoodoo, African-American folk magic, and New Orleans voodoo, it is used in mojo hands for money-drawing or love-drawing, and is used as incense to cleanse a space of negative entities or influences. It is also added to red ink to make "Dragon's Blood Ink", which is used to inscribe magical seals and talismans. In folk medicine, dragon's blood is used externally as a wash to promote healing of wounds and to stop bleeding. It is used internally for chest pains, post-partum bleeding, internal traumas and menstrual irregularities. In neopagan Witchcraft, it is used to increase the potency of spells for protection, love, banishing and sexuality. In New Age shamanism it is used in ceremonies in a similar way as the neopagans use it. Dragon's blood incense is also occasionally sold as "red rock opium" to unsuspecting would-be drug buyers. It actually contains no opiates, and has only slight psychoactive effects, if any at all. Various clinical studies show that Dragon’s Blood helps arrest diarrhea. In two of the clinical studies it actually states that Dragon’s Blood is the first (and so far only) agent to be approved by the US FDA specifically for the symptomatic relief of non-infectious (i.e. secretory) diarrhea in adult patients with HIV/AIDS on antiretroviral therapy. At the clinical study here, it states, “In studies in diarrheal illness associated with primarily a secretory component, such as cholera, travelers’ diarrhea and acute infectious diarrhea, Dragon’s Blood has shown improvements in stool consistency and duration of symptoms.” In the same clinical study it says that Dragon’s Blood may be beneficial to people with Irritable Bowel Syndrome.